Golden milk is my go-to at night before bed. I actually make Savory Lotus‘s recipe for golden milk paste and freeze it into cubes, then each night I boil water and drop a cube in! I look at it like my natural ibuprofen because of how great it makes me feel after a long day. And there is something so soothing about having something warm and nourishing before bed. Ahhh. But I started craving turmeric in the morning, and found I was throwing the same spices in my smoothie that I was my golden milk…and soon after I was creating a golden milk smoothie each morning. 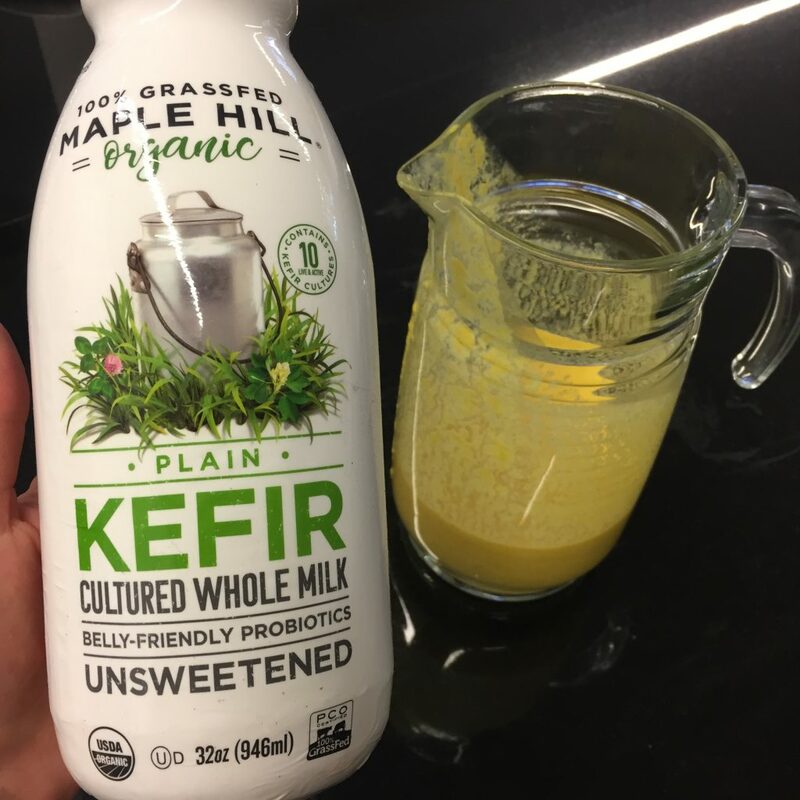 Turmeric is an awesome anti-inflammatory and kefir adds a healthy dose of friendly bacteria to your gut. Sometimes, if I want it to be heartier I will throw in some vanilla protein powder (I like this one for this recipe). Directions: Blend all ingredients together well.